Anything with bacon in it is always a hit in our house. 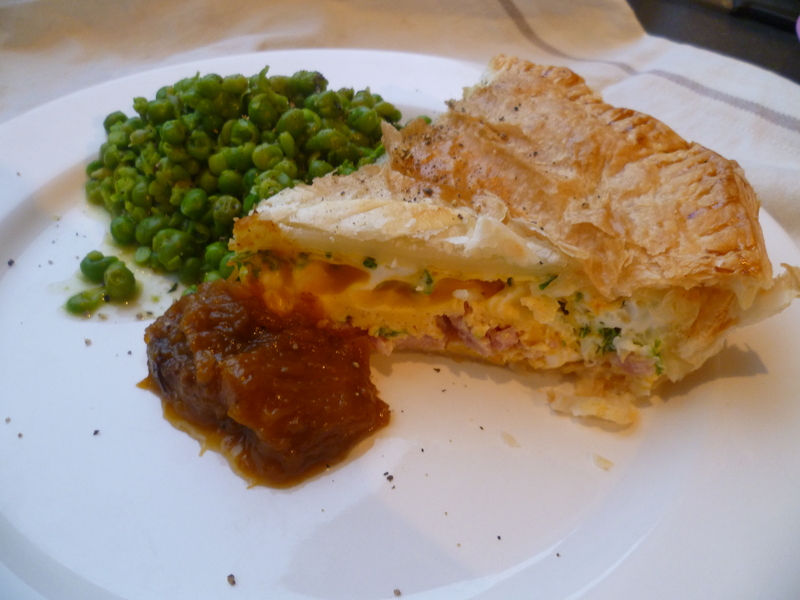 I have tried several versions of Bacon and Egg Pie and have rejected recipes in which you have to fry the bacon and onion separately, because it takes too long, and recipes in which you put the raw onion into the pie, because it still tastes raw even after the pie is cooked. This pie does not contain onion, but the chives and parsley add extra taste to it. Lay the pastry out in single layers to defrost – this should only take about 5 minutes. Turn the oven to 180 C fan bake. Grease a round 25cm pie or flan dish. Once the pastry has defrosted (don’t try and bend it while still frozen – it will break) line the bottom of the dish and sides with pastry. Cut and slightly overlap the sheets to fit the dish. Sprinkle the chopped bacon over top of the pastry. Roughly beat the eggs, but don’t overdo it as it’s nice to have some chunks of white and yolk in the pie. Briefly mix in the chopped herbs. Pour over top of the bacon. Put a top on the pie, again cutting and overlapping the sheets to fit. If you are feeling fancy you could make some leaf shapes etc to go on top. 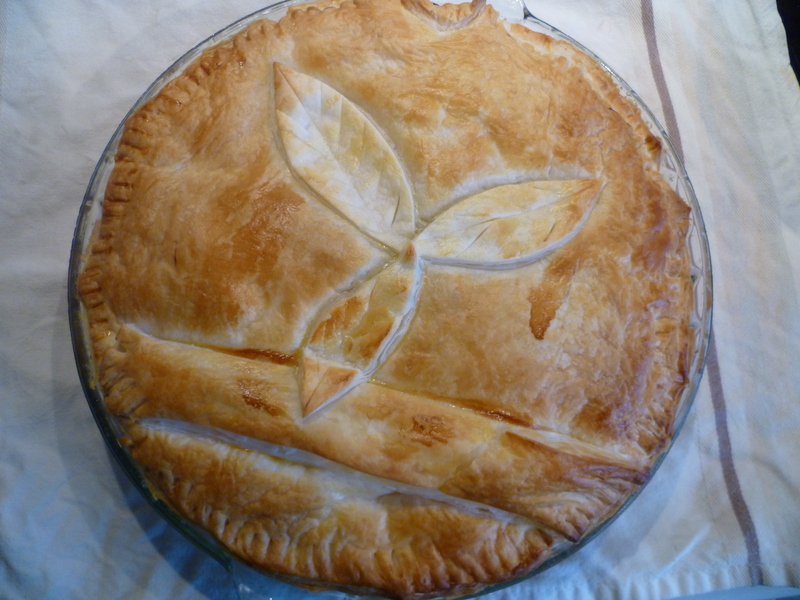 Take a fork and press round the edges of the pie to seal the top to the bottom. Place the 2 T milk in the dish you used to mix the egg in – the little bit of leftover egg helps to make the top shiny. Glaze the top of the pie with the milk mix using a pastry brush. Once the pie is just about cooked, start on the peas. Place the peas and water in a pot, bring to the boil and cook about 3 minutes. You can serve kids just the peas as they are. For adults, crush the peas roughly with a fork or potato masher. Don’t overdo it as you want a mix of whole and slightly crushed peas. Add the lemon juice and mint and serve. A hint to get more juice out of a lemon, particularly if it is cold, is to put it in the microwave for 10 or 15 seconds. Serve the adults food topped with cracked black pepper and chutney on the side. Hope you enjoy and unless your family are extra hungry there should be some leftovers for lunch the next day!